Rebirth stems from the idea of a Third Paradise that is generated by the trinamic interaction between the primordial state of the natural-earthly paradise and the artificial paradise that has led to the extraordinary achievements of science and technology but, at the same time, to a worldwide process of environmental deterioration. The union of artifice and nature is indispensable to our survival and the preservation of the ecosystem. With this forum Rebirth is opening a workshop of art and politics in Havana that, starting out from specific local characteristics and needs, will push the different tensions and conflicts toward resolution in a real balance, and one that can be extended to every other part of the planet. 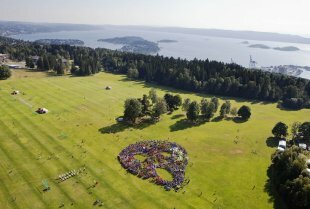 The symbol of the triple circle has been taken up and reinterpreted in many areas of the world, where Embassies of Rebirth have been set up. All these undertakings have come together in the Rebirth symbol formed with stones from every member country of the United Nations that is being permanently installed at the UN Offices in Geneva and will be inaugurated on October 24, 2015, on the occasion of the 70th anniversary of the founding of the United Nations. 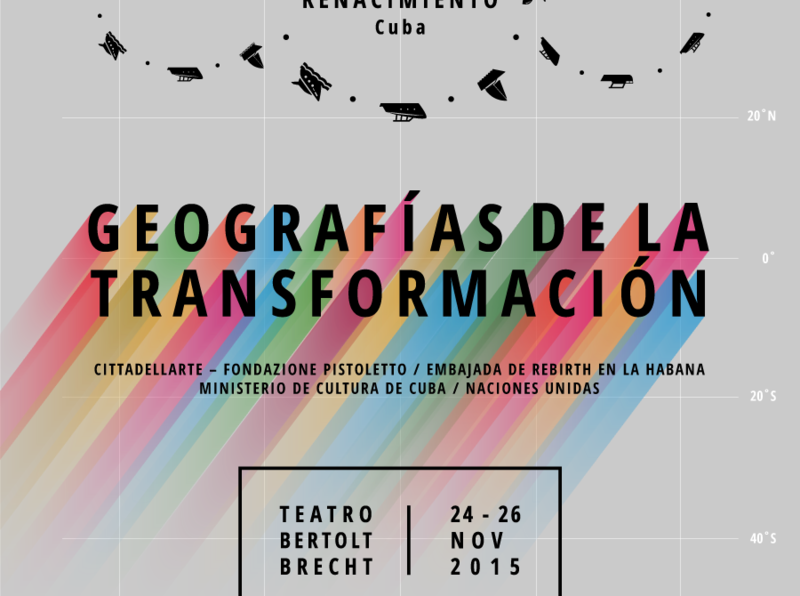 Exactly one month later, on November 24, 2015, the 1st Rebirth Forum will open in Cuba. The forum will mark the beginning of a permanent workshop of art and politics in Cuba that will be developed in line with the 17 Sustainable Development Goals declared by the UN. The workshop, which will aim to involve the whole of Cuban society, was preceded by the work carried out by the Rebirth Embassy in Havana in 2014, in an effort to involve schools, universities, artists, public institutions and ordinary citizens. 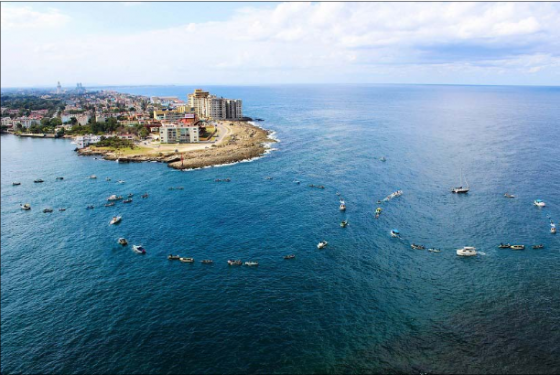 This led to the performance carried out by fishermen—of outlining the symbol of Rebirth in the sea off the Malecón, Havana’s esplanade.